Hey are you looking for offers for your Kerala Honeymoon or Kerala Trip ? We are one of the fastest growing tour operator from Kerala. We know exactly what a tourist coming to Kerala looking for. The backwaters (Alleppey & Kumarakom), hill station trip (Munnar, Wayanad) , Beaches (Kovalam, Varkala, Cherai) & special activities like watching Kathakali, Theyyam, Kalaripayattu etc. We have a wide range of activities in each destinations in Kerala. Booking a tour package from us is very easy, just fill out the requirement – Our tour coordinator will call you and ask your requirements. We can book houseboats, taxis, hotels & activities for you. 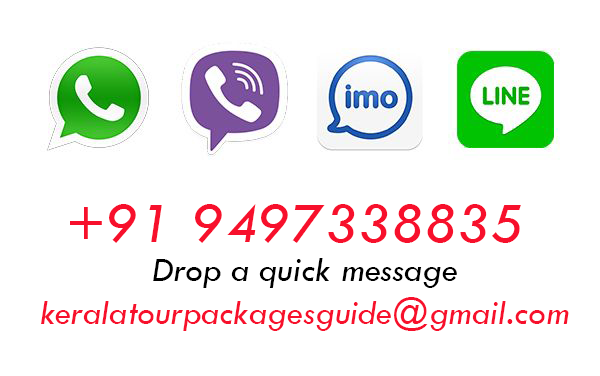 Please submit your contact details and requirements below, we will inform you when we Offer discounts for Kerala tour packages, Kerala honeymoon packages.